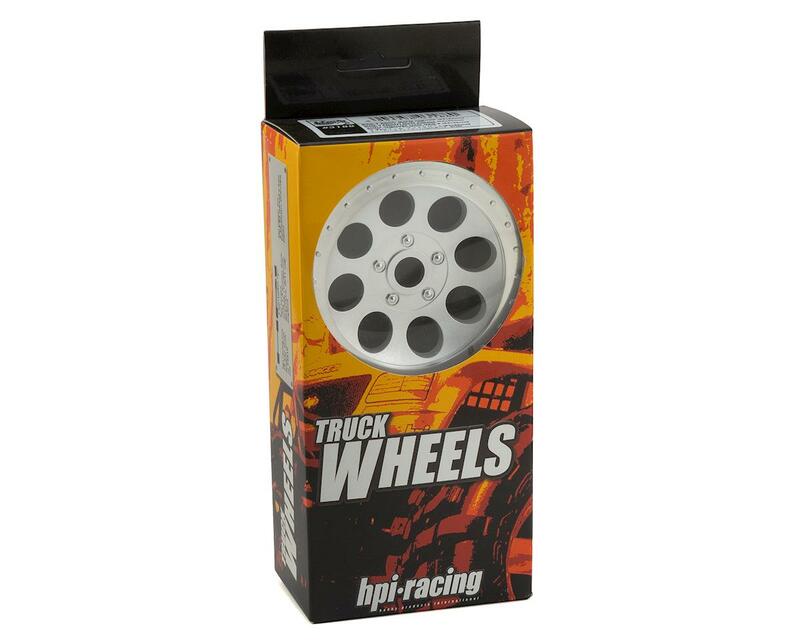 HPI MAG-8 Monster Truck Wheels give your Savage X and Savage XL trucks with 17mm Hex an awesome retro look. 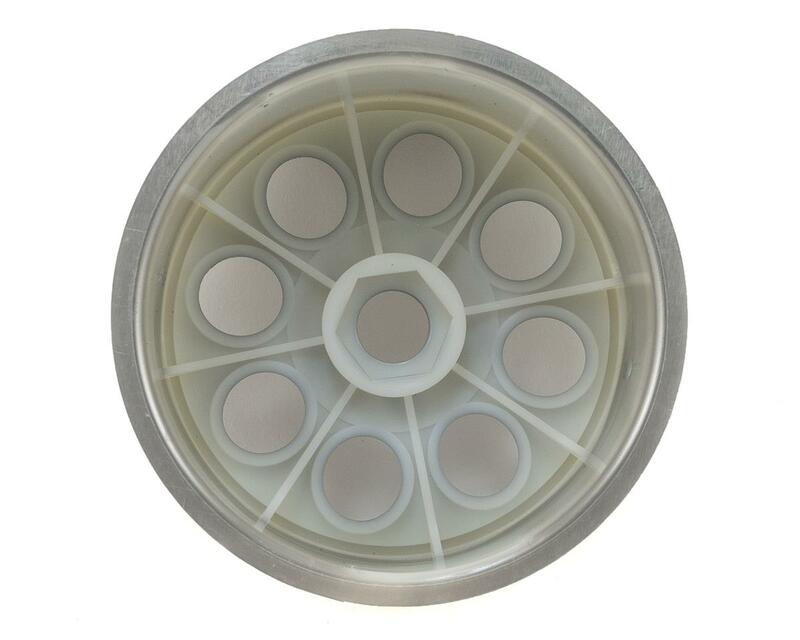 These classic 8-hole wheels are molded from tough, high-impact nylon and feature wide 17mm hex hubs for extra durability. These are standard size 83mm x 56mm monster truck wheels, so most monster truck tires will fit perfectly. 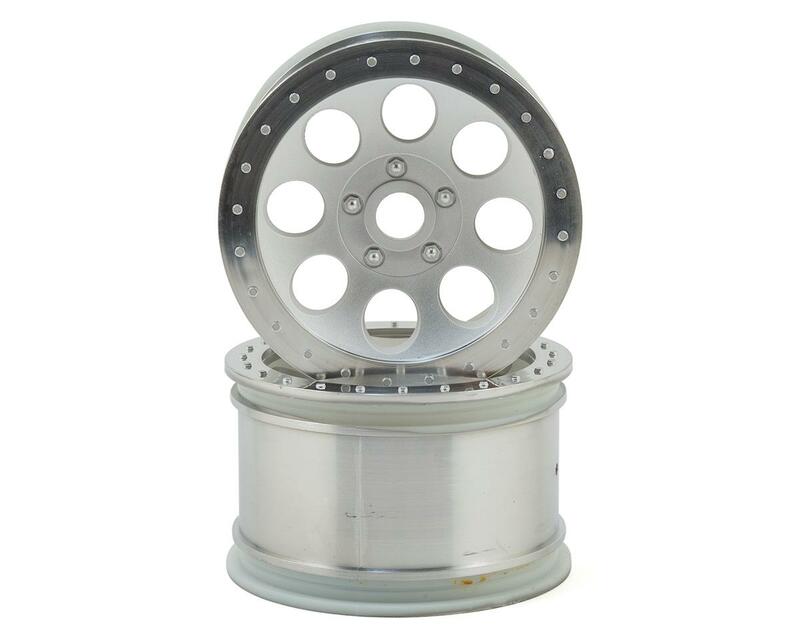 The wheels are sold in pairs and are available in bright white, stealth black, shiny chrome, and satin matte chrome center with shiny chrome outer ring.